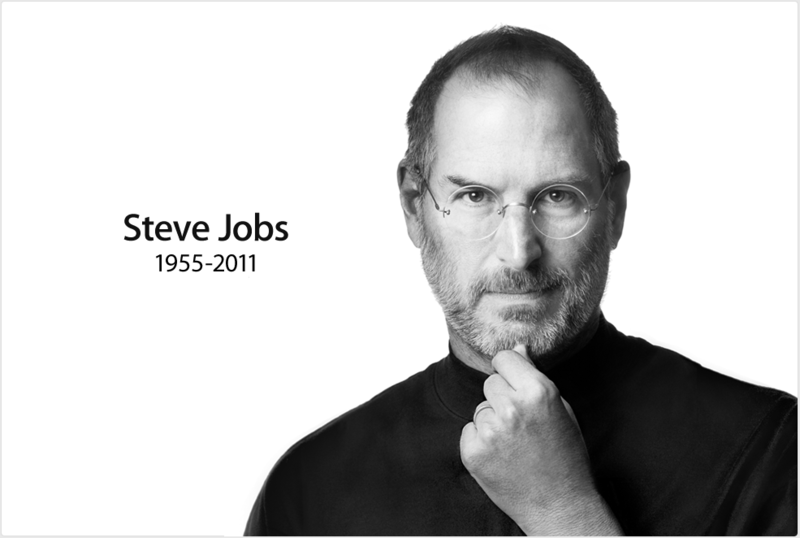 Steve Jobs, the legendary and iconic CEO of Apple, has passed away, we have learned from Apple. Distinctive of Apple, the company announced the death of its co-founder, visionary and creative genius in a full-page and sparse announcement on its home page found at www.Apple.com. A photo shows Steve jobs in his signature turtleneck staring at you with penetrating eyes, his hand on his chin, with a hint of a confident and satisfied smile on his lips. Beside the photo, “Steve Jobs, 1955-2011”, is written. Apple adds further that those who would like to share thoughts, memories, and condolences can email rememberingsteve@apple.com. Jobs died October 5, 2011 after recently passing on the CEO role to Tim Cook. Steve Jobs has been suffering from ailments involving cancer since 2004. From Social Barrel, our thoughts go to Steve Jobs and those he has left behind. Steve will forever be remembered as one of the most extraordinary people in the tech industry and in the history of mankind.